It works on all Portrait Mode photos, and doesn't require an iPhone XS or XR. With the iPhone XS, iPhone XR, or the new iPad Pro, you can use Apple’s own Photos app to adjust the amount of background blur in a Portrait Mode photo even after you take it. Unfortunately, you don't have that capability if you have an earlier iPhone or iPad: You can enable or disable Portrait Mode, but not change the blur. A few third-party photo apps let you do the trick, but none are as popular or useful as Google Photos, one of the best photo archiving apps for iOS. 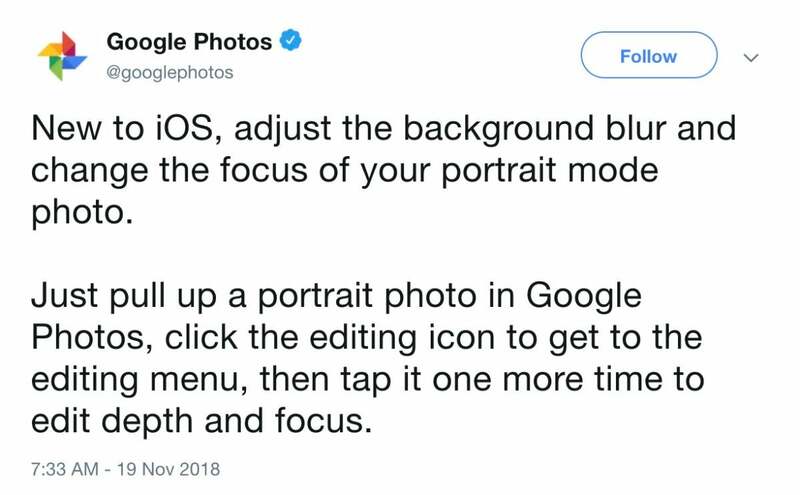 Today, Google announced on Twitter that Google Photos now lets you edit any Portrait Mode photo on any device. You can tap to choose a new focal point and drag sliders to adjust the amount of blur or foreground blur. Google announced the new feature on Twitter, but no app update is necessary. This appears to be a back-end change, as it's live now despite no update to the Google Photos app. To adjust the blur of any Portrait Mode photo in Google Photos, simply open it and then press the Edit button to open the editing menu—the bottom of the screen will then show a list of color filters. Press the Edit button again to bring up sliders for Light, Color, and now Depth. There’s a drop-down arrow to the right that gives you sliders to adjust the amount of blur and foreground blur. Tap anywhere on your photo to change the in-focus part of your photo. Open any Portrait Mode photo and tap the Edit button, then tap Edit again to see depth controls. Depth control isn’t the only new feature in Google Photos. 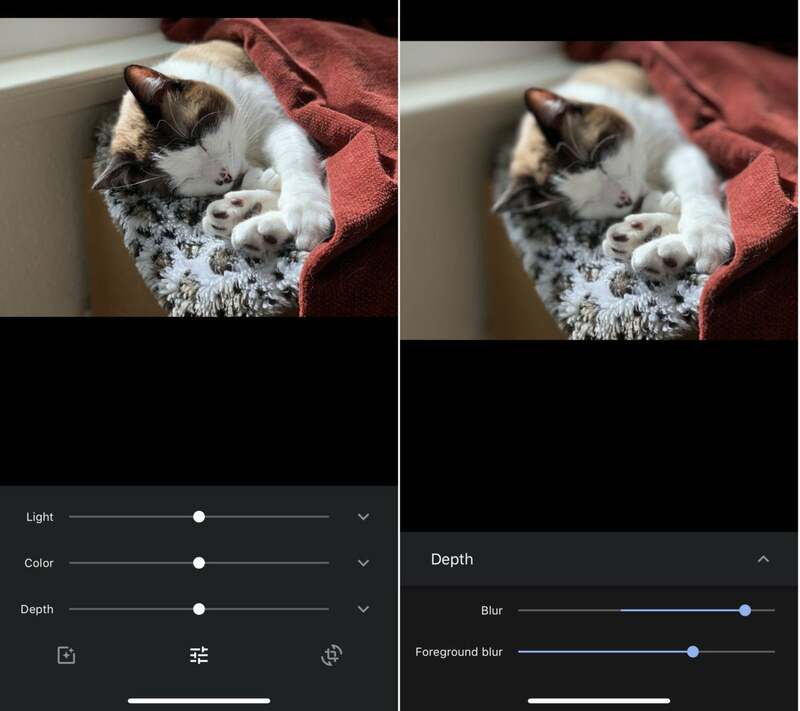 Portrait Mode photos now have access to the “Color Pop” filter, which keeps your subject in color but fades the background to black and white.